Daily: Try-riding on a pony- or on a big horse. We take a tour in the forest, about 25 minutes. 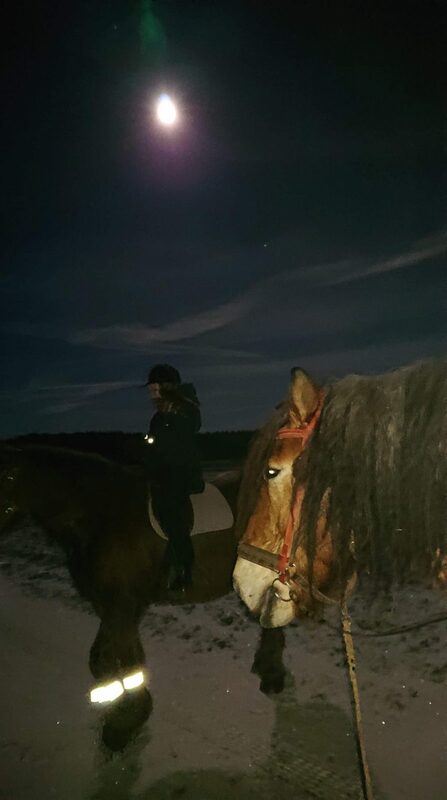 Ponyriding 250 SEK/Child, Riding on an Ardennerhorse 300 SEK/Child/adult. Event gifts! Give away the opportunity to experience nature with Belgian horses or get the chance to cook outside. Do you want to be a Volunteer at Eriksgården? We link together the lives of 150 years ago with todays modern society. Our focus is on cultural and natural landscape.